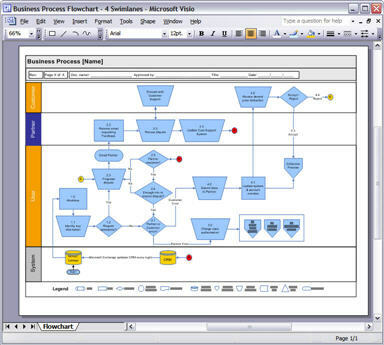 I use Microsoft Visio to create flowcharts, business process maps, use case diagrams and other type of documents. One way to create these diagrams faster is to group shapes & images, so you update all the shapes at the same time. You can also move the shapes back and forwards on the worksheet. How do you move several shapes at the same time in Visio? You can move several shapes, blocks of text and other items by grouping them into a single ‘object’. The principle is the same as grouping objects in Microsoft Word and PowerPoint. 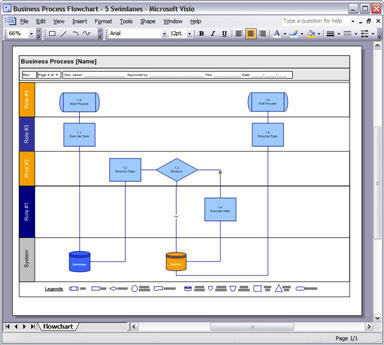 Here’s how it works in Visio. Drag your mouse over the shapes you want to ‘group’. To group the entire page, do Ctrl + A (Select All). To group shapes which are next to each other, drag your mouse over the shapes. To group shapes in different parts of the page (e.g. if you want to shapes in different parts of the page) hold down SHIFT and then click on each shape you want to select. Click, click, click! Visio highlights the shapes that you selected with little green handles. Right-click and then select Shape, Group. The shapes and lines you selected are now grouped. 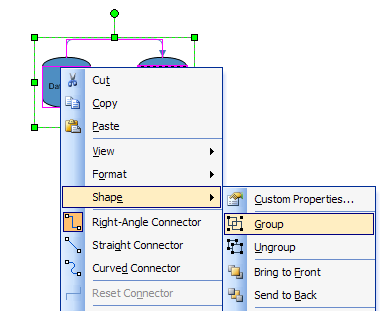 Select this shape and drag it across the page, or to another Visio diagram, and it will move as one unit, i.e. grouping. You can also use the arrow keys to nudge it across the page. To un-group the shapes, right-click and then select UnGroup. Note that you can also move the group to the back (or bring to the front), for example, if you want it to float behind another image. What tips do you have to make Visio diagrams more professional looking?